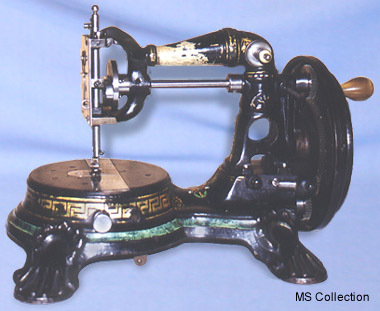 Rare sewing machine - Starley "Hand" machine 2. Although no identification as to the manufacturer has been found, this machine was most likely to have been produced by the Coventry Machinists. It would appear to be a variant of a similar model of known origin.